Suitable from birth to 13 kg. Travel system compatible with Maxi-Cosi and Quinny pushchairs. 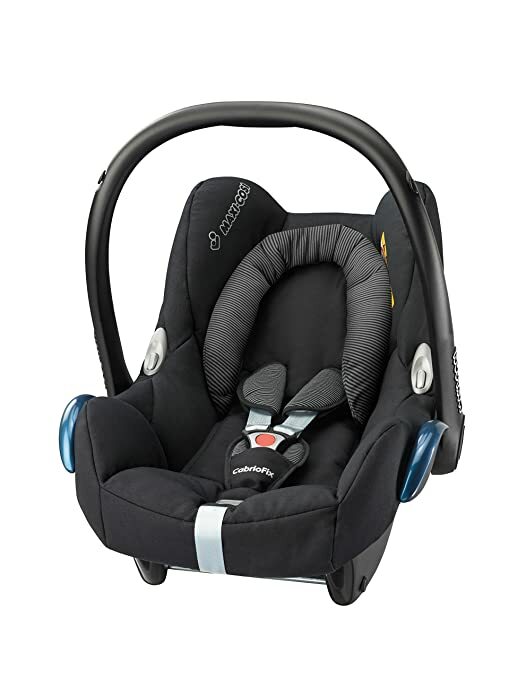 Easy installation with Maxi-Cosi Car Seat bases and/or car seat belt. The Maxi-Cosi CabrioFix infant carrier is suitable from birth to 13 kg (approximately 12 months) and only weighs 3.6 kg, making it one of the light infant carriers. 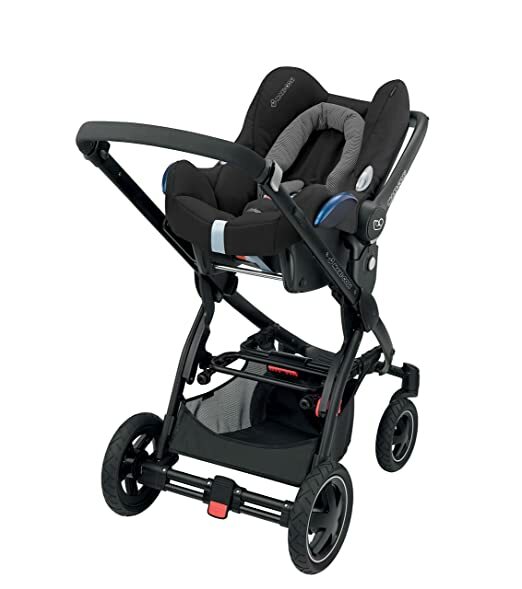 Enhanced comfort is provided by extra padding and a seat reducer for babies, while the Side Protection System optimises overall safety. Compatible with Maxi-Cosi and Quinny pushchairs, parents can easily transform their pushchair into a travel system. Just clip this car seat onto the pushchair frame (adaptors are supplied with the pushchair) which allows an easy transition between car and pushchair. This Group 0+ car seat offers easy installation with Maxi-Cosi’s range of click-and-go base units and can also be installed using the car’s three-point seat belt. 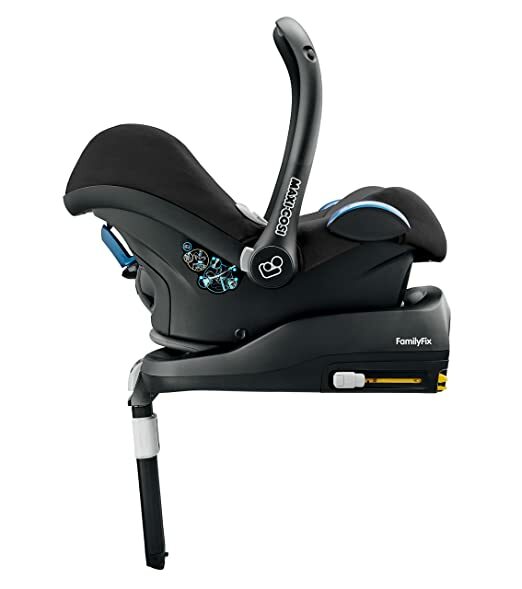 When used in conjunction with Maxi-Cosi FamilyFix Base, light and sound indicators confirm correct installation and offers an additional upright position for CabrioFix, allowing older babies to have more leg room. Therefore you can use the seat for long in the rearward facing position which is a preferable and safe way for young children to travel.